Do you want or need to get your DNA tested? Do you want to know how to get a free DNA testing kit? I will explain how you can, as well as discuss what you need to consider before taking such a test. More to DNA testing than just ancestry! This post will take into account concerns relating to a wide range of different DNA tests. 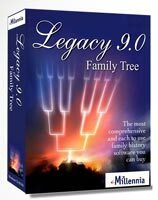 Even though this is a genealogy website I thought that it would be best to discuss the broader area of DNA testing. And so I will show you what else you can discover through your DNA besides your family history. Free does not always mean free! First off I just want to give you a word of caution. Most people like the word ‘free‘. Yeah me too, but when something is free it doesn’t necessarily mean that it is good. When searching the Internet you may have come across sites offering free DNA testing. Should you go take up the offer? Should you enter your details? Well, I have to say “do your research before you take that next step“. You could be getting yourself into more than you bargained for. There may actually be hidden costs involved with the free DNA testing that you are offered. Some companies will offer the DNA test kit for free, but you will have to pay for the testing of your DNA. So, is a free DNA test kit worth it when you have to shell out maybe hundreds of dollars to even get the results that you are after. Also, some DNA testing sites may not even be legitimate at all. These scrupulous companies may take your DNA and then can use this leverage over you to steal even more information from you. Be careful of these sites and as I said before do your research before you give them your DNA. Why Should You Get A DNA Test? Are DNA Tests Actually Free? Your DNA can tell you a lot about your ancestry. It can show you where your ancestors originated from and it can also show you their migration path as well. The other great benefit of conducting a genealogy DNA test is that you may connect with living relatives via which ever DNA testing company that you go with. And you can get all this from either swabbing your cheek or spitting into a tube. DNA testing has come a long way since it first became public about 20 or so years ago. 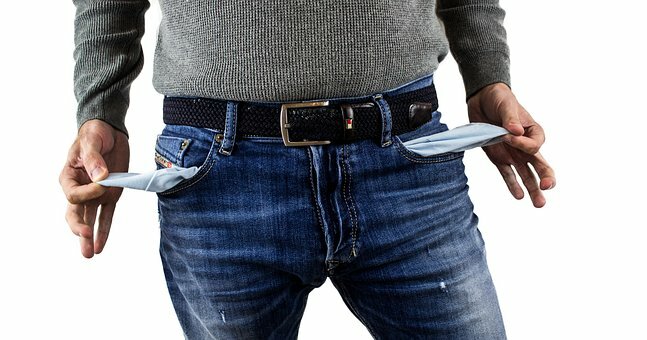 These days you can get test kits for approximately $60 or so, some can be as high as $300-$400, and even more than that. It all depends though what you want to get tested for and how detailed you want the results to be. In my opinion it is best to go beyond the standard tests that are on offer. You obviously will need to pay more but trust me it will be worth it. The reason I say this is that you will be learning even more about your family history and that is what true genealogists try to do. When I was tracing my roots I was passionate about finding out as much as I could about my ancestors. I looked into every nook and cranny of the Internet to discover as much as I could about them. And you can do the same with DNA testing. Don’t worry I’m coming to how you can get free DNA testing for your ancestry research. You may really, really want to take a DNA test. But you also need to be prepared for how the results of your test will change your life. Obviously if you are wanting to know more about your ancestry then it can shine a whole new light on your family history. It could reveal though that your ancestors aren’t actually who you thought they were. There is that possibility. So you need to be prepared for that. Or, if you are taking a DNA test because of health concerns then you will equally need to be prepared for what the results may be. And consider the price too! Yes, there may or may not be costs involved in getting your DNA tested. More on that later. But suffice it to say that getting your DNA tested locally will generally be more cost effective for you. And you also need to consider that getting a free or the cheapest priced DNA test may not actually be the best choice for you. The same can be said for an expensive DNA test kit as well. You therefore need to weigh up your options. I touched upon one reason why you should get a DNA test. And that is for genealogy research. But there are other reasons why you should, or maybe why you would want to take a test. One reason maybe because you may need to take a paternity test. Or your doctor is concerned about your health and well being and wants you to take a test so that they can see if you have a certain disease. Do you actually need a DNA test? You will generally need to take some preliminary testing before you will actually take a DNA test. From there it can be ascertained what DNA test that you will need to take regarding your health, (and whether it is free). If you do need to take a DNA test then you can then visit a genetic clinic where you will provide a sample of your DNA. This is the best choice for you as generally as this is, (per the common adage), what the doctor ordered. Your doctor may not accept DNA tests that have been conducted at home. So rather than wasting your time, and money, it is best to visit the clinic chosen by your doctor. DNA testing in the U.S. Unfortunately I cannot find anywhere in the United States where you can get a paternity test for free. Whether this will change in the future I am not certain. If you are concerned about your health then it is best for you to consult your doctor. From their advice you can then ask whether it would be in your best interest to take a DNA test. DNA testing in the U.K. Likewise with the U.S. a paternity test in the United Kingdom is not free. Despite popular belief the National Health Service (NHS) does not provide this kind of test for free I’m afraid. However, you are in ‘luck’ if you want to take a DNA test if you are concerned about your health. The NHS does provide some tests for free if you are concerned about passing on hereditary diseases on to your children. It is best for you to consult your doctor on what is the next best step for you. There are a plethora of DNA tests that you can choose from. As this is a genealogy site you may be familiar with well-known DNA testing companies like 23andMe, AncestryDNA, and MyHertiageDNA. If you are interested in your genealogy and want to get your DNA tested to discover your ancestry then please check out my The Best DNA Test For Your Ancestry Research post. From that post you will discover what kind of DNA tests are available for testing your genealogy and which company is your best choice. The only way that I have found where you can get free DNA genealogy testing is if you take part in a surname project. The test therefore will be a Y-Chromosome test. If you are fortunate then the entire cost of the test may be paid for by the surname project. Or if you are less fortunate then only part-payment. In order to take part in such a surname project you will need to supply at least 3 or more generations of your paternal line ancestors. Surname projects are carried out by The International Society of Genetic Genealogy, (ISOGG). And if you are a member then you can qualify for a free DNA test. There is one stipulation of taking a free DNA test that you will need to be aware of. That is whoever pays for the test then has rights to the results, and that means not just you. If you do not want the person or group who purchased the test on your behalf then you will need to reimburse them. For a list of surname project please check out the Free DNA tests page at ISOGG. If you are passionate about genealogy and want to help out your fellow genealogists then this is certainly worth considering. But at the end of the day it is your decision whether you take the free test or not. As I mentioned earlier in this post you can get some DNA tests for free. It all depends on what you want to get tested for and where you live, i.e. either in the U.S. or the U.K.
Also, some DNA test kits will be free as the cost of these will be paid for by the health service. But where your DNA sample is analyzed and tested at a private laboratory, this will obviously incur a fee. The laboratory will want to get paid for the work that they have carried out on your sample. It makes sense. So if you do happen to come across a site online offering you a free DNA test then please be careful of what you are getting into. So, What Are The Costs? There are a number of factors to consider when it comes to cost. These range from where you live, (as I have highlighted before), the company taking the test and laboratory involved, and, duration tests. For more information on what you can expect to pay please visit How much does a DNA test cost? I hope you enjoyed this post showing you how to get a free DNA testing kit. If you have any questions or comments then please leave a comment below. 15 Ways To Conduct Free Genealogy Research! How To Find Free Family History Records! Hello there! Thank you for the informative article. This is all brand new to be so I apologize in advance for any silly/stupid questions. Aside from the website listing surname projects (which I already checked) I had heard there may be other groups that offer free tests based on certain criteria. I haven’t researched it myself yet so I don’t know whether or not it’s true however the example I was given was a group that will provide a free test if there’s a documented history of X (specific condition). Have you heard of this? And finally, do you know whether insurance companies would cover genetic testing either preconception or post conception? Any info would be very much appreciated! Thank you! Thanks for dropping by and commenting. I’ve tried to look for groups who provide free DNA testing but couldn’t find anything I’m afraid. As The Genealogy Guide gives general advice I would recommend that you check out The DNA Geek. Hopefully they can help you regarding this query. Insurance may cost more depending on what conditions are revealed, so it can be costly to you. It’s worth checking out this CNBC article looking at 4 risks for consumers. Hope I have helped. Please let me know how you get on and I wish you all the best. Definitely, that is a great site to check out. I need documentation proving I am Native American, I know that my great great grandmother was full blooded Cherokee, she was caught up in the trail of tears & during that time got with a Blackfoot, so my great grandmother was half Cherokee & half Blackfoot, I want my card proving that I am an American Indian, what kind of DNA kit do I need. Thank you for your query. Please check out my Best DNA Test For Native American Ancestry post. That guide will show you all that you need to know. I have noticed on your Awards and Honors that you have been Awarded “Top 100 Genealogy Blog”! Wow, that’s awesome! I must also say thank you for this post. I greatly appreciate your words of caution regarding DNA testing. 🙂 And I also commend the emphasis you make concerning DNA test kit may be free but the private laboratories work obviously incur a fee. Thank you Henry. It was quite an honor. I’m currently sitting at #33. With plenty more helpful guides and tips I should climb the rankings. Yep, I’m glad that you can see to take caution and to expect some fees. There are free resources available for the family historian and through this website it is my aim to show you. Great post! I’ve decided NOT to give up more of my personal information. DNA testing is just a bit too much info someone else has over me! I also prefer not to go to doctors unless I have a traumatic accident. Nature will take its course. We’ll all die someday. I can fully understand Melinda. We do live in a big brother world and companies do know what we do and in particular what we want. A lot of people though are willing to give up this information in order to find out more about their ancestry. Maybe a close relative has done such a test and you can find out more about your ancestors that way. I have seen the adverts on TV and have been thinking about trying to find out about my ancestory. Here in the UK GMTV actually did a story about it a few weeks ago. The presenters had a DNA test done. Anyway thanks for the information, I will definitely do some research before jumping in. Yes you certainly do need to do your homework before you hand over your information and your hard earned money. Please check out my Best DNA Test For Your Ancestry Research post. That will show you what DNA testing companies are available and which one is right for you. Hi there, we have a very small family and I have limited knowledge of our family tree and ancestors. Thanks for sharing this as I was wondering how to go about trying to research this whole area. You’re very welcome Karen. 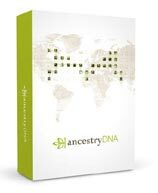 Please check out my The Best DNA Test For Your Ancestry Research post. Incidentally in my opinion Living DNA is the best DNA test kit that you can buy. Great post I was in fact actually scammed on an online DNA test they sent back fake results and took my money. So its good that you included not all DNA sites claiming to be free is free and or legit for that matter. Keep up the good work. I finally got it straightened out. But it’s a headache that should be avoided at all costs. I’m sorry to hear that that happened to you. People are willing to give away their information for free and not think what could happen. People do need to do their research before they hand over their personal information. But I can understand. Everyone wants something for free and when you are tracing your family history it is appealing. Sometimes free is not always the answer. My mom is very into genealogy right now and is tracing our family tree. My sisters and I are thinking of getting her DNA testing for her birthday. It’s a shame that you cannot get a DNA test for free unless you want to do a specific surname research project. I will though have to look into that further. I know that everyone likes to get information for free and I encourage that. That is why I put this post up so that people know what is available to the, and whether there is a price attach to it or not. There are plenty of resources available for the family historian and that is why I created this site. To show everyone what is available and how to get it.